"Official Signs & Icons 3 by Ultimate Symbol"
In November, 2017, symbol guru Mies Hora published the third edition of his compendium of signs, symbols and commentary, "Official Signs & Icons 3 by Ultimate Symbol." 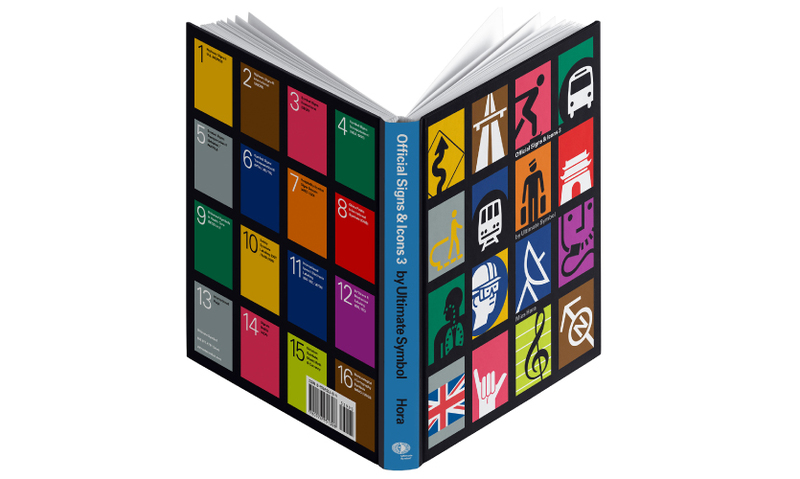 Among the many varied and useful resources in the book, there is a new section entitled "Signing Bicycle Facilities," which he collaborated on with SEGD Fellow Don Meeker, who is part of an ongoing effort to overhaul the Federal Highway Administration's Manual on Uniform Traffic Control Devices (MUTCD) in regard to cycling signage standards. Read an excerpt below. Mies Horainitially became interested in the experiential graphic design field through watching his father—a designer, architect and artist—use symbols in his work. Hora formalized that education at Parsons School of Design/The New School, completing a degree in Communication Design where Lance Wyman was one of his professors. Wyman became a mentor, then a friend as Hora's interest in wayfinding was piqued through their conversations. His first wayfinding project was designing signage for Kate’s Paperie, the art supply located at Parsons. The owners of Sam Flax then hired him to design signage and interior finishes for their entire art supply store chain. As Hora was developing and publishing the reference work "Design Elements" (1991), he recognized an obvious need for something else—a separate compendium of non-decorative signs and symbols. "I realized that designers were redrawing basics like the restroom symbols and using inaccurate, altered versions," explains Hora. 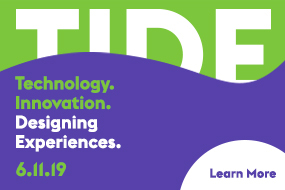 "It was time to digitize the AIGA Airport symbols that had been developed in the pre-digital age under the guidance of Tom Geismar as well as other sanctioned, official sign systems for design professionals." From that point, the project grew rapidly; the first edition (1996) included 1,410 symbols in six category volumes. Ten years later, the second edition expanded to 4,811 symbols in 11 volumes. 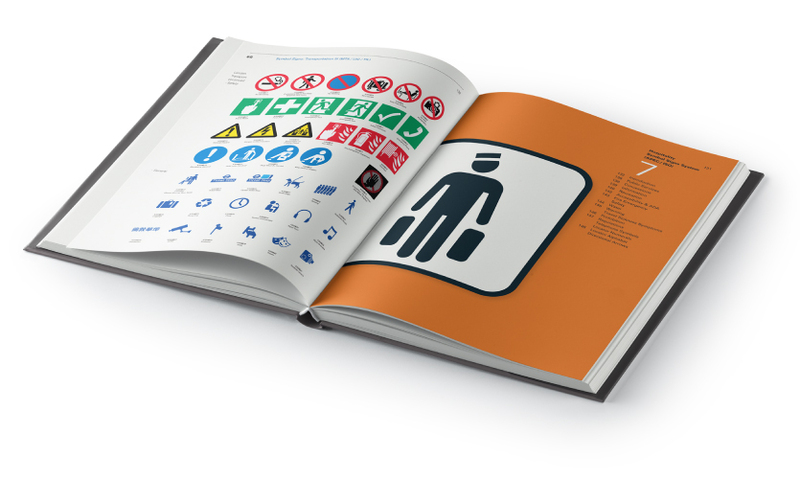 Two decades after the first “Official Signs & Icons,” the third edition boasts over 8,400 meticulously rendered and indexed digital images in 16 volumes and a foreword by world-renowned airport wayfinding designer Paul Mijksenaar. New volumes and updates include: China's National Public Information System (CNIS), Transportation signage (Schiphol and PANYNJ airports); MTA Pictogram System and London Transport (TfL); Universal Symbols in Health Care (SEGD / HJ); Parks Canada Recreational Symbols; Cartography Symbols & Signs; Water, Disaster & Travel Sickness Safety Symbols; Mobile and User Interface Icons; Proposed Cycling Roadway Signage; National Flags; and Notation Symbols for Music, Math & Currency. "'Official Signs & Icons 3' is a quarter-century-long labor of love with the goal of harmonizing disparate visual and non-verbal communications globally, thus promoting understanding across cultures, boundaries and languages," says Hora. "It has been immensely satisfying to provide an accurate, thoroughly researched tool for wayfinding designers everywhere. We live in a world of icons, they may as well be the best icons available." 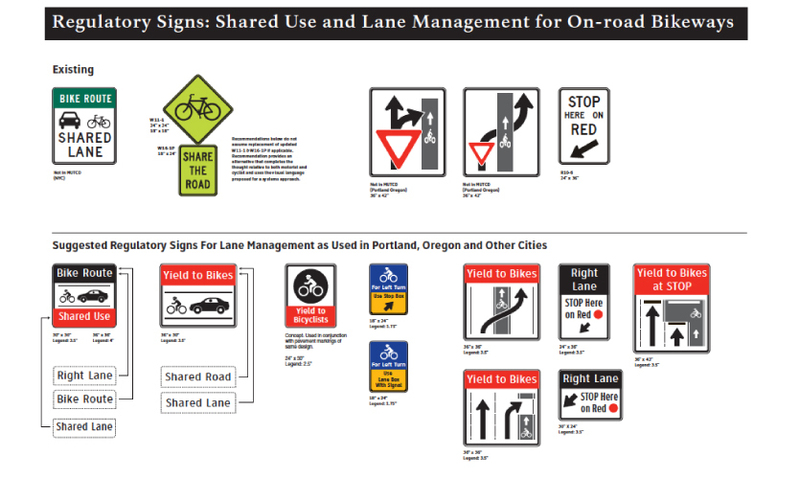 The Signing Bicycle Facilities Addendum in “Official Signs & Icons 3” includes an excerpt from a March 2011 presentation to the Federal Highway Administration Office of Safety Design by members of the Working Group for Signing Bicycle Facilities. 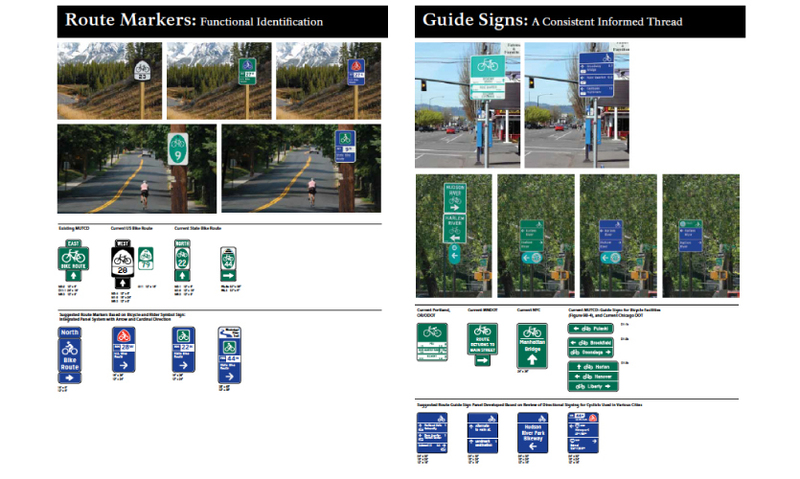 We caught up with both Hora and Don Meeker, FSEGD on the subject to hear their thoughts and insights on the effort to improve cycling signage. 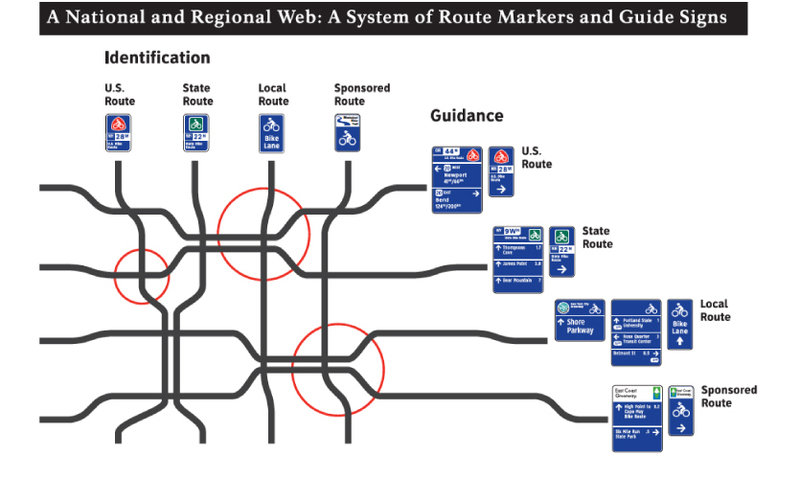 "I think it is imperative for wayfinding designers to be aware of the massive effort that has been undertaken to improve the Manual of Uniform Traffic Control Devices highway signage in general, and cycling signing in particular. Don Meeker'sand his cohorts' selfless devotion to innovate in this area could transform how our nation uses roadways," Hora says passionately, adding, "It's a very big deal." As cycling routes, linear parksand urban bike lanes are growing in prevalence, cycling signage is an increasingly important topic of discussion for the wayfinding community. 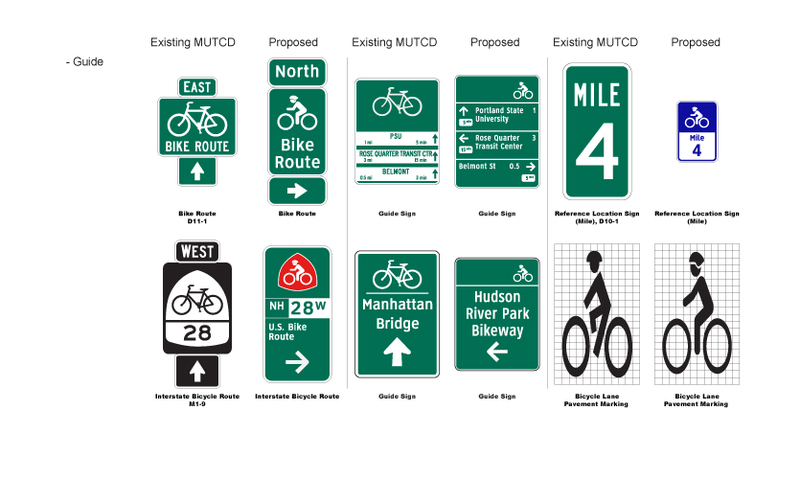 The cycling signage project has a personal origin for Meeker, who remembers cycling with his son in New York City and State in the early 2000’s and noticing the layered-on, cluttered and often inefficient signage indicating cycling routes. Meeker’s team initiated research in New York, Portland and Minneapolis building on their highway research using the Clearviewtypeface. Initial research showed very positive results in favor of an animate bike symbol, which, combined with Clearview, could potentially improve safety results in a significant way. Their long-term goal was to do more studies on color and differentiation between signs for motorists and cyclists seen on shared-use streets. The ultimate goal would be to gain approval and implement a common visual language nationwide, so whether it’s an urban bike lane, the East Coast Greenway, or a state or U.S. bike route, the signage would be consistent and clear, leading to greater safety for all users. In November 2008 a group of cycling professionals representing advocacy, transportation design and planning, and municipal government traffic engineers came together at the American Trails Symposium in Little Rock, Arkansas around a proposal to comprehensively upgrade the national standards for bicycle facility signing. Out of this spontaneous meeting, the Working Group for Signing Bicycle Facilities was formed to advance this agenda for reform. There was a consensus that signing standards for cycling in the public right-of-way need to be more comprehensive, more consistent and clearly readable as a system of signs, not just individual postings. Much has changed since the current standard was cobbled together from existing highway signs and made a separate section in the 1979 (FHWA) Manual on Uniform Traffic Control Devices. As cycling has become an actively shared part of the surface transportation network, the existing set of signs are incomplete and do not create a cohesive lineal statement that is differentiated from signing for motorists. 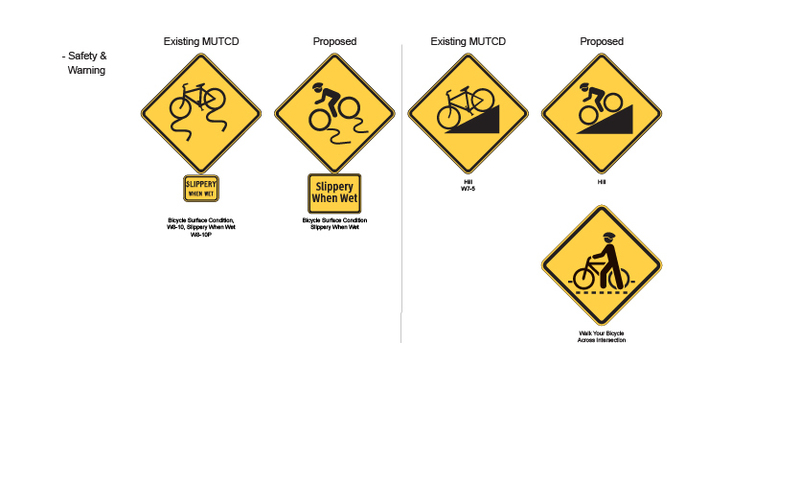 At that 2008 meeting, the group realized that this initiative was too late to make an impact on the 2009 revision to the MUTCD, which unfortunately is done only every ten years. But the members were concerned about significant deficiencies in the 1979 rule. 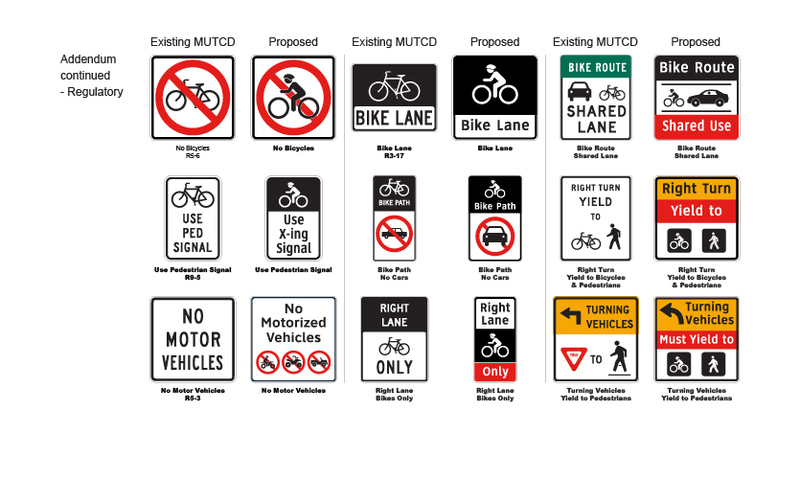 Given the growing importance of cycling on roads, trails, and in cities, they felt an urgency to pursue independently a way to upgrade the standards for bicycling signage. Signage should get the same attention that was being given to revising other design requirements for dedicated cycling facilities, to enhance safety, especially considering the relationship between cyclists and motorists in shared use environments; and the significant opportunities that the linkage of facilities nationwide (U.S. Bike Routes, regional systems, state routes, local routes, etc.) will create. 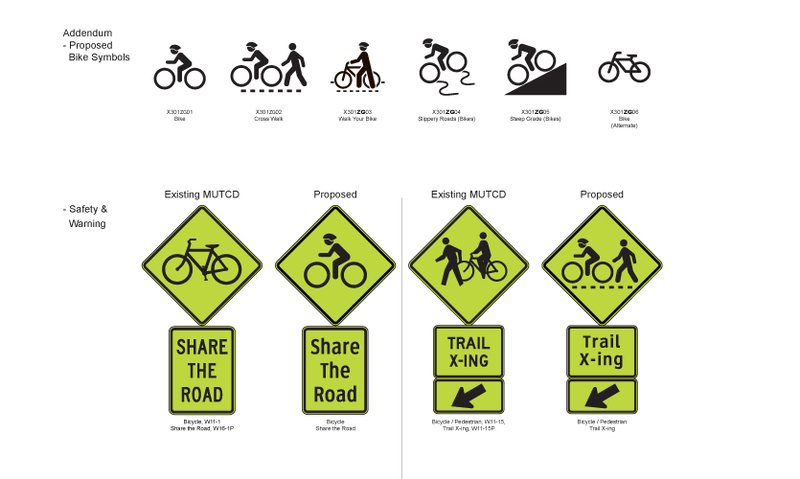 The scale of the application of improved signage will be great: there are 250 cities over 100,000 population; over 18,750 cities, towns and villages with less than 100,000 population; and 19,000 miles of bike-paths and rail trails, nationwide. Working Group members received many comments, especially from city traffic engineers, that existing sign standards are not addressing a growing need to make routes safer. State, regional and U.S. Bike routes will link to urban and suburban routes making the need for a systematic approach used consistently in all jurisdictions of growing importance. 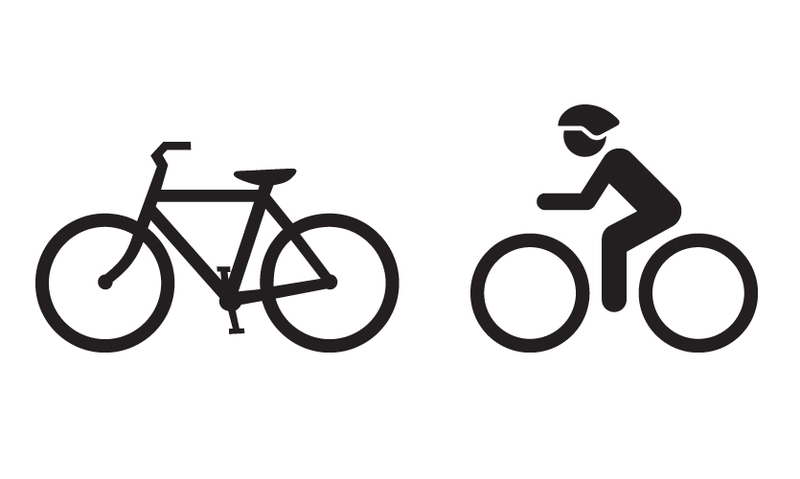 The Working Group focused initially on the bicycle symbol as a priority for revision. The use of the inanimate bicycle symbol in lieu of an animate bike with rider was identified as a critical issue. Bicycling is an active program and logically should be identified by an active symbol. Integral to this process of signage revision are a series of human factors research projects to inform the design process and validate recommendations. The initial piece of research was legibility and comprehension research for the bicycle symbol, conducted by Dr. Tonya Smith-Jackson at the Grado Department of Industrial and Systems Engineering, Human Factors Engineering and Ergonomics Center at Virginia Tech. As a result of the efforts of the Working Group in Portland and New York City, the project designers were placed on the National Association of City Traffic Officials (NACTO) Cities for Cycling design team. This is a project led by Alta Planning and Design to develop and document recommended designs for over 20 different urban cycling facility applications. 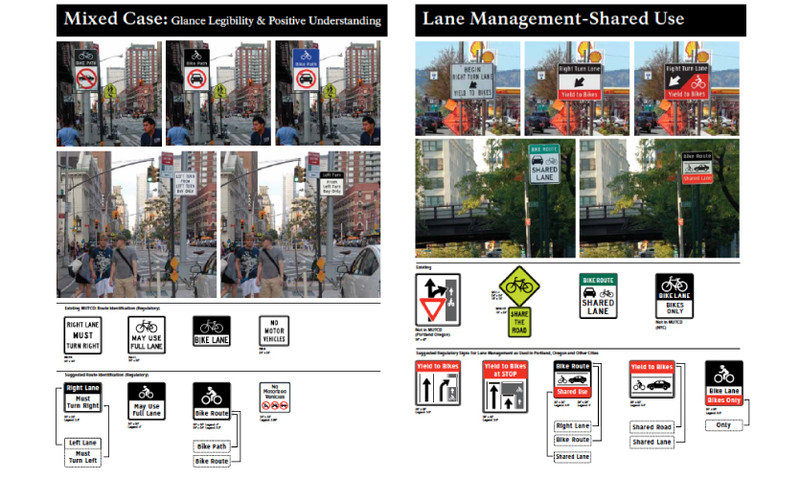 The proposed changes to signage standards shown in this unofficial addendum are based on existing requirements expressed by traffic engineers in Portland, OR, Minneapolis, MN and New York City, and general surveys of existing practice in other locations around the country. Although these designs deviate from highway sign design convention, they have been designed to be substantially compliant with current standards while incorporating a more up to date approach to design. The FHWA requires that any changes to the MUTCD be validated by independent human factors research projects. 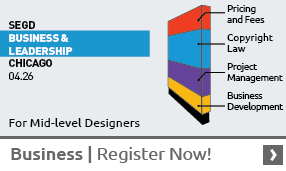 For this system design this includes the addition of the animate symbol, use of mixed case Clearview legends on all applications including regulatory and warning signs. Creation of common formats and graphic devices to provide a lineal statement that accommodates glance reading, and the possible inclusion of the color blue in lieu of highway standard green and black. At this writing, this research is approximately one-half complete. Once the proposed research is complete, a review team of national leaders in transportation planning, traffic engineering, sign design and visual research will be convened out of the Working Group for Signing Bicycle Facilities and Cities for Cycling team to make formal review and recommendations to the design package and provide to the FHWA with appropriate documentation to request permission for field study.